Qazi Nisar addressing a mammoth MUF rally in Iqbal Park ahead of March 23 elections in 1987. On poll eve (March 22, 1987), Ghulam Nabi Sumji, then 46, a transporter and forest lessee, contesting elections on Muslim United Front (MUF) mandate from Homeshalibug, met his workers to discuss ‘how to tackle the big-day’. The strategy was simple, recalls Sumji, ‘get as many people to the polling booth as you can, rest is all scripted’. Riding on strong anti-National Conference (NC) sentiment, MUF had managed huge public support and sympathy. “We were winning hands down,” recalls Sumji, now operating from a small Hurriyat Conference (g) office in Rajbagh in Srinagar. Leaning back on a recline chair Sumji recalls the era, with both disappointment and satisfaction. Disappointed to lose opportunity to create an alternative power structure in Kashmir, but “satisfied to have stirred the conscience of a sleepy nation held hostage by the family rule”. Flashing a smile on his face, Sumji closes his eyes, as if reliving the moment when a euphoric crowd surrounded his Willy’s Jeep, chanted his name, sang eulogies, all the way to Islamabad where he filed his nomination papers. “We were riding on public support and raw emotions,” recalls Sumji. But despite over-the-top emotions that made 1987 elections look like a cake-walk for MUF, Sumji knew he must have a strategy to defeat his opponent: NC’s strongman Abdul Salam Deva. That night, Sumji sat down with his workers, mostly youngsters, and started assigning roles. “You will go door-to-door and get people out to vote,” he told one of his supporters. “Make sure that everyone votes,” he told them addressing none in particular. Around same time another meeting was underway at Jama’at-e-Islami’s (JeI) office in Batmaloo. It was between MUF’s core strategists: Ghulam Mohammad Bhat, then Ameer-e-Jama’at; Prof Abdul Gani Bhat and Dr Ghulam Qadir Wani. The tension was visible on everybody’s face present in Ameer-e-Jama’at’s modest office. “We knew NC won’t go down without a fight. While we had people with us, they had entire administration at their disposal to upset the results,” says Prof Bhat, whose dismissal as professor on anti-state activity charges by governor Jagmohan laid foundation of Muslim Employees Front, that later became Muslim United Front. Among the three core strategists, Prof Bhat was perhaps the only person who refused to bank on mere crowds that defined MUF’s pre-election rallies. “Politics and sentiments are two different things. 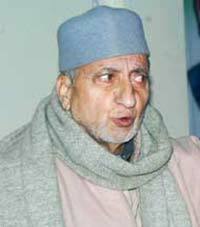 Nobody should confuse between the two,” says Prof Bhat, who is now an executive member of Hurriyat Conference (m). A few miles away in congested downtown, young Aziz (name changed), was visibly tired, for he had not slept for many nights. “This was our chance to script a new chapter for Kashmir,” recalls Aziz, then 17, now an established businessman. “Finally the scattered dissenting voices had found a purpose in MUF,” says Aziz, as if still carrying the pain of missed opportunity in his heart. That night, Aziz, along with his friends, all underage to cast a vote, started inspecting major polling booths in Srinagar to be sure that everything is fine. “The problem was nobody knew who was heading whom. There was no formal structure, just emotions. Everybody’s movement is nobody’s movement,” says Aziz. In absence of any formal roles assigned, Aziz and his friends donned many caps during those days. “We were arranging press meets for candidates, writing posters, making banners, buntings, flags and attending meetings at Jama’at office,” recalls Aziz. As youngsters, Aziz and his friends were part of almost every rally that MUF had in Srinagar. “I have never seen such massive participation of people in any election rally,” says Aziz recalling how he used to shadow Amira Kadal candidate Mohammad Yousuf Shah (now Syed Salahuddin) all the time. But, Aziz, now a matured businessman, who was tortured at infamous Red-16 for his association with MUF post elections and spent many years in self-exile, sees things quite differently now. “It was complete chaos on the day of polling. Nobody knew what they were supposed to do or act as, all they knew was to shout slogans and display emotions,” says Aziz. In the morning, an enthusiastic Aziz went straight to Jama’at office, before setting off for “city tour” with his friends. “MUF polling agents were outnumbered by 5:1 ratio in all booths,” recalls Aziz. “Unlike us, they (NC) were playing by the book. They had fielded proxies from every constituency, thus giving them chance to have maximum polling agents inside every booth,” alleges Aziz. When Aziz and his friends visited a booth in Amira Kadal, one of the crucial seats for MUF, there were NC workers all around. “They had literally cornered our polling agent, an inexperienced youth, who looked helpless at brazen display of muscle power by NC workers,” says Aziz. Most of the MUF’s polling agents, like this youngster, were volunteers who had seen polling booth for the first time. “It was failure on part of the strategists who couldn’t train them enough. They had no idea what their role was as polling agents,” says Aziz. But not everybody was disappointed like Aziz. 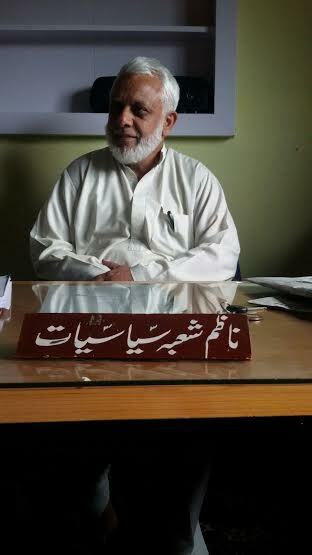 In congested Maisuma locality, Jama’at-e-Islami’s multi-level office was buzzing with activity since early morning. Among the tense faces was Mohammad Shafi Lone, now 70, a government official working in health department, who has spent many sleepless nights checking voter lists. “Most of the MUF candidates had no idea what a voter list was,” recalls Lone, now a social worker. Unlike Aziz, Lone was experienced volunteer, who has fought union elections successfully a few times. “I wanted to tell them that don’t get swayed by crowds, but there was nobody to listen,” says Lone, who blames lack of structure, apart from widespread rigging, for the debacle. Within no time Malik, along with Ishfaq Majeed, Hameed Sheikh and a few other friends from Islamic Students League (ISL) – a student’s movement formed mainly to counter Jagmohan’s anti-Muslim tactics – reached Rajbagh. Next distress call came from near Naaz cinema. After putting Yousuf Shah in safe hands, Malik, and his friends left towards the said booth. 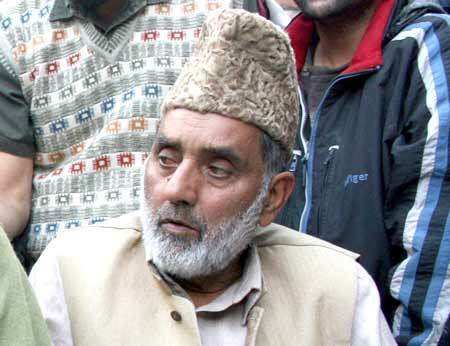 “But our car was stopped midway by P S Gill, then SSP Srinagar,” recalls Malik. While Malik and others managed to flee from the spot, Gill got hold of Hameed Sheikh. “He was taken to Shergari Police Station where Yousuf Shah’s opponent Mohiudin Shah (NC) beat him ruthlessly,” claims Malik. “He (Mohiudin Shah) reached police station only minutes after Hameed was brought there,” says Malik. Hunted by police and outnumbered by NC men, Malik and his friends decided to go into hiding to cool their heels. The days that followed saw MUF agents rounded up by police en masse, recalls Malik. After results were out Malik and his friends visited Jama’at’s Batamaloo office. “We had barely relaxed when police raided the building,” says Malik. While everybody else was taken into custody, Malik and Ishfaq Majeed managed to flee by jumping out of first floor. “That raid sealed our fate forever. We knew it was all over for MUF,” says Malik. 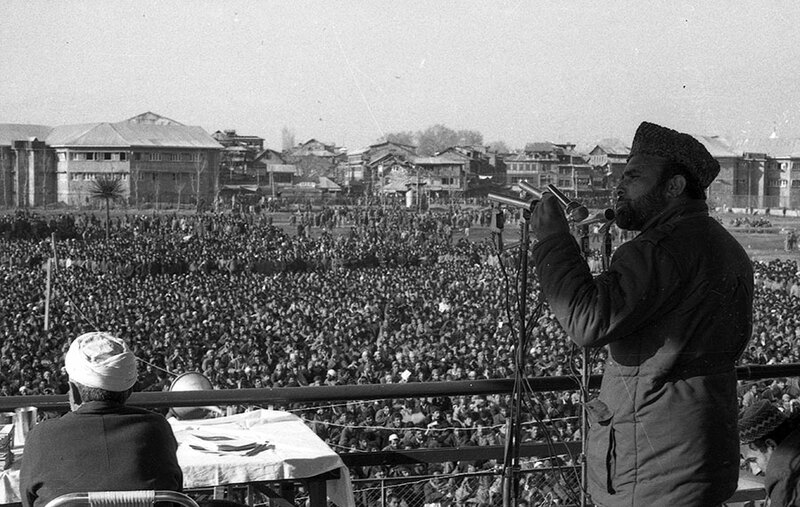 Unlike Shah, barely fifteen kilometres down south in NC’s safe house, Pampore, a young MUF candidate was taking no chances. He was Ali Mohammad Lone alias Advocate Zahid. “He (Adv Zahid) got certificate for a number of MUF polling agents from People’s Conference (PC) to maximise his presence inside booths,” says Sofi, PC’s chief polling agent in Pampore. “This helped him neutralize NC’s strong presence inside booths,” claims Sofi. It was November 1986, when Zahid got a “signal from Jama’at-e-Islami’s Batmaloo office” to prepare himself for the upcoming elections. “I said okay but with one reservation,” recalls Zahid, a resident of Nehama village. “I had never delivered a speech before.” He was given a crash course and a task to deliver 100 speeches in mosques in two months. Further down south, in Islamabad district, things were relatively easy as, MUF was banking on Qazi Nisar led Ummat-e-Islami’s cadre. “But it was not a cake-walk at all,” recalls Sumji. A day before canvassing was to end officially, Sumji was travelling with his close aides from Arwani village to Frisal, when a MUF flag, hoisted on top of a Chinar (Maple) tree, caught his attention. “It was practically impossible to hoist it there,” recalls Sumji. He stopped and was told that the dare-devil behind this flag was Sabdar, a MUF foot soldier from Shirpora, Kulgam. Sumji wanted to meet him but could not. The rest of the exercise was managed in the counting halls. At 2 PM, a visibly happy Hamidulla Rangrez, MUF candidate from Devsar, came running to Sumji and declared, ‘presiding officer has told me that I have won by twenty six hundred votes’. He hugged Sumji amid jubilations from the crowd. Instantly, the same presiding officer came out from the counting hall, holding a piece of paper in his hand, and announced: Peerzada Ghulam Ahmad has won Devsar seat by a margin of twenty six hundred votes. “This all happened in a span of five minutes,” recalls Sumji. Before Zargar could have reacted or protested he was bundled in a police van and driven away. “I couldn’t do anything but look on,” says Sumji. Can Electoral Politics Envisage Resistance?